Self-publishers need great cover art and a good website, but often lack the necessary skills and design experience. In packaging and promoting The One-Hour Guide to Self Publishing, I chose basic tools, and design inspirations that are powerful, yet simple and easy to emulate. The original design for this site (intended to promote that book) was based on an absolutely stock version of WordPress 3 which I downloaded free and installed on Liquid Web, a standard commercial web server. I made my own header graphic in Adobe® Fireworks™, made minor customizations to the way the header was displayed and added a copyright notice, all from within the WordPress Administration area. 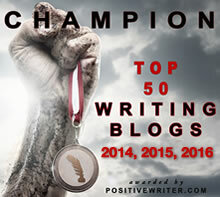 Aside from time spent entering and formatting content, I had about an hour invested in producing the original OneHourSelfPub.com site (though I’m a professional web designer and have done it many times before. ) See my WordPress installation tutorial video at the end of this post). As the site grew in scope over the next year-and-a-half, I added a number of elements to the sidebar: shortcuts to content I didn’t want buried in the growing list of blog posts, links to my books on Amazon and other booksellers andother content that wasn’t a direct extension of the book the site was originally conceived to promote. At a certain point, with all the add-ons, the original site began to look hacked together. I also broke my rule a few times and made code-level customizations the average self-publisher would probably not care to do. Though I still feel it’s possible for a publisher to build an attractive, effective website with WordPress, new tools make it possible to dig deeper and make more changes without having to be a programmer. These tools and options will be covered in a new series of posts about Website Design for Writers and Publishers, but first and foremost among them is the Weaver theme for WordPress; it includes an extensive control panel that allows for endless customization without endless coding. Because of the name change and the site’s focus on the creation of books, this new site design is inspired by classic book typography and the warm feel of ink on paper. The typeface (converted to a web font) is Adobe Garamond Pro. The background paper texture was scanned from an 1870s typeface catalog in my library. For details on these influences, see my Book Design Basics articles on this site. 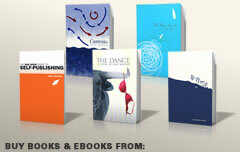 This site was also conceived to bring the separate websites for my books and publishing endeavors under a single roof. Toward that end, I have kept the design consistent but changed background images to reflect the content being discussed on a particular page.